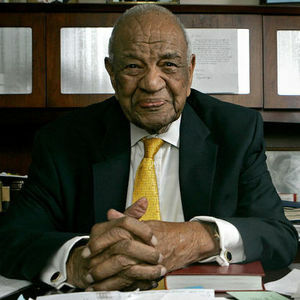 "H. Robinson, I met Dr. Taylor in Chicago, IL at a Prayer Breakfast about 10 years ago. He was still going strong and speaking even stronger. I admired and loved this man of God. What a blessing to the World!!" "Wonderful Man of God and a true blessing to his congregation. Always greeted you with a smile and a kind word. Heaven is getting a Jewel..."
"Dr. Gardner Taylor was a true role model not only was he my former Pastor, but he was a true mentor and I will never forget all the confidence and support he showed me while I was a member of his church back in Brooklyn."